Goodreads description--While traveling to Fren, Allyssa and Odar are hijacked by a ruthless assassin who divulges a stunning secret that changes everything. I enjoyed her True Reign series, but I'm worried this one might be following the same pattern too closely. 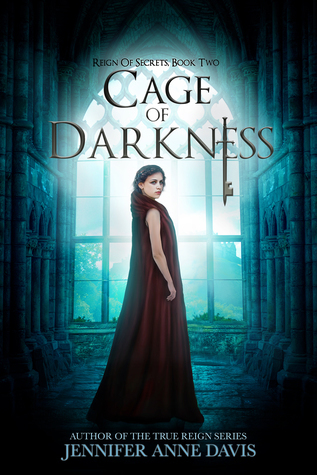 I liked Cage of Deceit, so I'm hoping that I'll enjoy Cage of Darkness just as much or more. What are you waiting on this week? Let me know! It seems amazing with the cover and that description! Feels like I should add this series to my TBR. Thanks for sharing! Hope it exceeds your expectations. That cover looks gorgeous with all the different shades of blue. Happy reading and thanks for visiting my blog. It's always a bummer when the sequel fails to live up to a great first book. I hope that's not the case here! At this point, I would recommend it! Hope you enjoy it if you get a chance to read the series. Thanks for stopping by! I hope so! Thanks for commenting Kelsey! I'm a fan of the cover too! Thanks for stopping by Vi! Yes, I hope not as well. Thanks for stopping by Aylee!